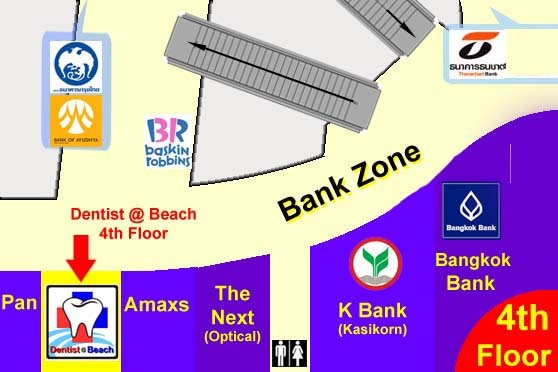 Located in "Central Festival Pattyaya Beach" the largest open air shopping mall in the world together with 5 star beachfront facilities and 5 star hotel Hilton. We the perfect destination for dental tourism. You will enjoy Sun & Beach while we makeover your smile. The great experience holidays and dental works with only fracture costs in your home town. Picture: Central Festival Pattaya Beach - "the largest open air beach front shopping mall in Asia".